In a statement released by his campaign, Sanders noted that while the returns show his family is fortunate, he also grew up with a “stress of income insecurity” that informs his political views. 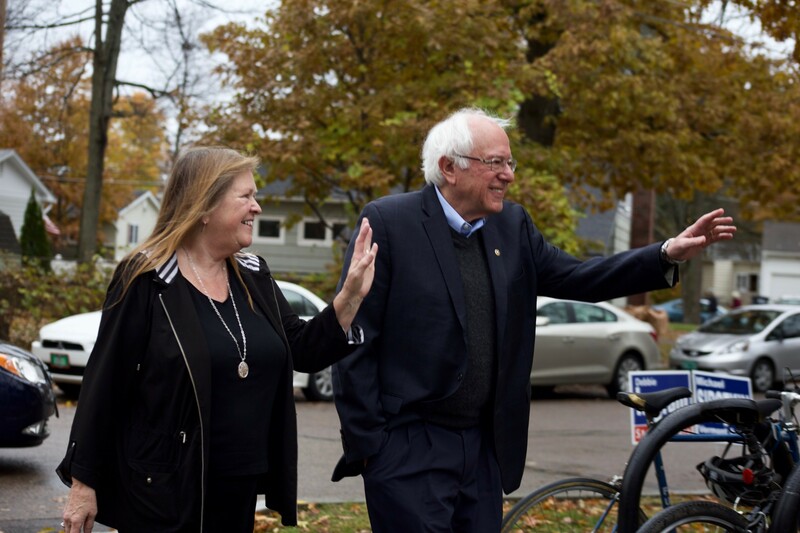 The campaign noted that Sanders paid a 26 percent effective tax rate last year, but in 2016 and 2017, when he earned more than $1 million, he paid rates of 35 and 30 percent respectively. While Sanders has filed congressional disclosures for 30 years, Monday’s release represents the most in-depth financial disclosure to date by Sanders, who can be prickly about his personal life and finances. Sanders resisted releasing his full returns during the 2016 presidential campaign, initially sharing only parts of his 2014 return that showed a joint income of $205,271. Clinton, by contrast, released 8 years worth of complete returns. Sanders has said he didn’t release more information because he didn’t win the nomination. This year, however, a resurgent Sanders has sharpened his attacks on Trump for failing to release his tax returns. In addition, other Democratic contenders like Sens. Kamala Harris (D-Calif.) and Elizabeth Warren (D-Mass.) have released their returns. The news of the Sanders’ newfound wealth won’t surprise many in his home state. The pair have owned a home in Burlington’s new North End for decades, and in 2016 purchased a $575,000 Lake Champlain waterfront vacation home in North Hero. The Sanders also own a row house on Capitol Hill in Washington, D.C.
And here's the senator's 2017 return. Lastly, here's his 2016 return. To see older returns, visit his campaign's website.